Loyal Business Machines is a business technology and office equipment dealer. We offer world class technology from Canon with the personal touch of a local company. We have serviced the Long Island and New York City markets since 1972. Our equipment line-up includes multifunctional copiers, printers, scanners, wide format plotters and fax products. Loyal's Managed Print Services (MPS) program gives you a turnkey solution for service and supplies to support every print device in your company. Additionally, we offer a suite of document software solutions that increase productivity, simplify workflow, and reduce paper use. We strive to help our customers create document and workflow strategies that help them become more efficient and reduce costs in managing their print output. An Emerald Document Imaging Company: Loyal Business Machines was purchased by Emerald Document Imaging in 2016. While we've combined many backroom functions and work under the same roof, we continue to run Loyal separately as a subsidiary of Emerald. 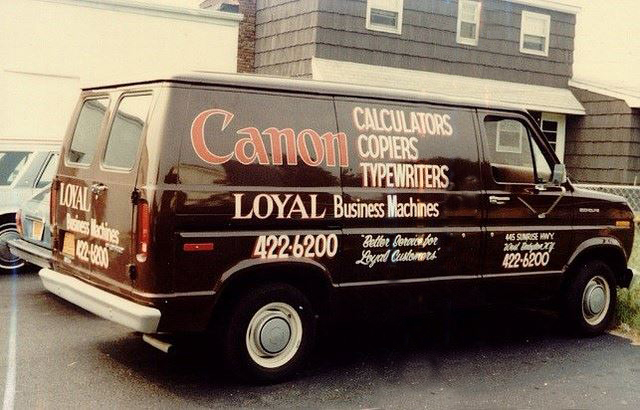 George Loy, the previous owner of Loyal was an industry mainstay on Long Island since 1972. We are happy to continue working with his family and longtime Loyal employees in maintaining his vision of great customer service. The Loyal/Emerald Mission is to bring business technology to life in our community and do it better than anyone else with trust and accountability. Our ultimate goal is to be viewed by our customers as a partner in their document workflow. Our promise is to deliver equal doses of great technology and common sense in supporting our customers goals of improved business processes, lower costs, document security, compliance and environmental sustainability.